In the series, Make it Work , I show you how to take a seemingly random thrifted find and hypothetically ‘make it work’ in an awesome space. WWTGD (What would Tim Gunn do?) I'm getting the thrifting bug lately. It's not tag sale season, and I'm at a point with the flip where I've purchased all the materials and lights but not yet ready to stage, so I'm at a thrifting stand still. What better time to dream about new (old) awesome decor and share it with you guys. 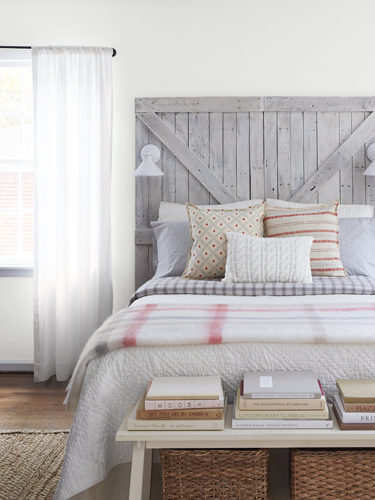 In today's Make it Work, how about an old door as a headboard? Currently listed on the Boston Craigslist, it's more than a little steep in price at $450, but I think it'll give you a good idea. All over pinterest you'll find crafty- looking door headboards, but it doesn't have to be that way. A door used as a headboard can look so sophisticated if done right. This bedroom from Country Living shows a very successful door-turned headboard. The key to this room is simplicity. The headboard is the focal point and you don't have a gaggle of craftiness distracting from that. 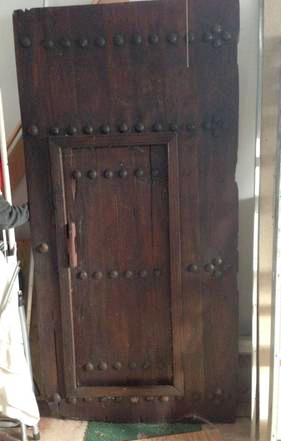 So, how would I make the very different door from Craigslist work? It's all about balance. The heaviness of the headboard is grounded by a heavy rug, and everything else becomes a textural supporting character. If you try and add too much pattern or color, that's when the bad crazy happens. I'm also a big proponent for style mixing. High/low, new/old, hard/soft. It creates a nice, balanced, and interesting space. I hope you'll think twice next time you come across an old door. Doesn't this room just make you want to curl up? In the series, Make it Work , I show you how to take a seemingly random thrifted find and hypothetically 'make it work' in an awesome space. WWTGD (What would Tim Gunn do?) On to today's Make it Work! I've been scouring Craigslist a lot lately. I mean a lot even for me (and that's an awful lot for most people). Aside from a few things that will probably work for eventually staging Millie, I haven't been coming across any total gems. Sometimes not being WOWed by a piece gives you the opportunity to add the WOW yourself, however. I'm betting about 87% of you are questioning my vision right now. Am I in the midst of a stroke? Losing my eye sight? Nope, I truly think these stuck-in-time pictures have potential. With some modifications. Something about the hot air balloons draws me to them. Something about the current color scheme and the frame scares me away. First, I'd start off by correcting the hideousness that's scaring me. Paint the mat white and use a gold rub-and-buff on the frame. Now the only color issues reside in the paintings/prints themselves. My solution for this? Dip it! In reality, the process would be less of a 'dip' and more of a 'tape off half the painting then use a brush or spray paint' but the effect is still the same. 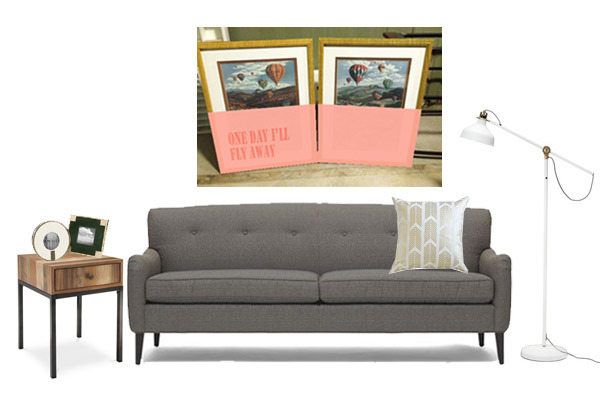 Our previously questionably hot air balloons would suddenly look ethereal and modern. 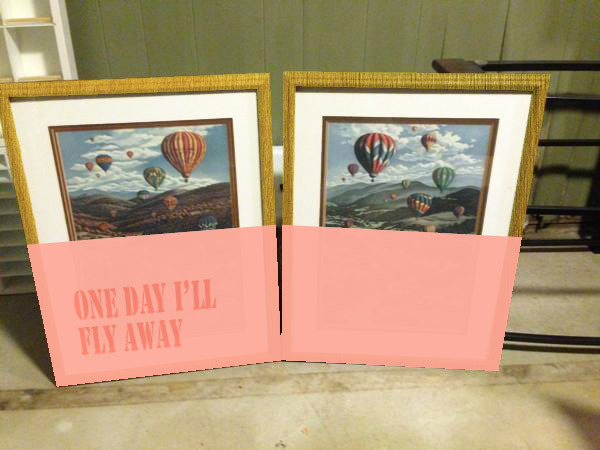 Here is my not-so-perfect photoshop rendition to give you an idea of what the balloons would look like. 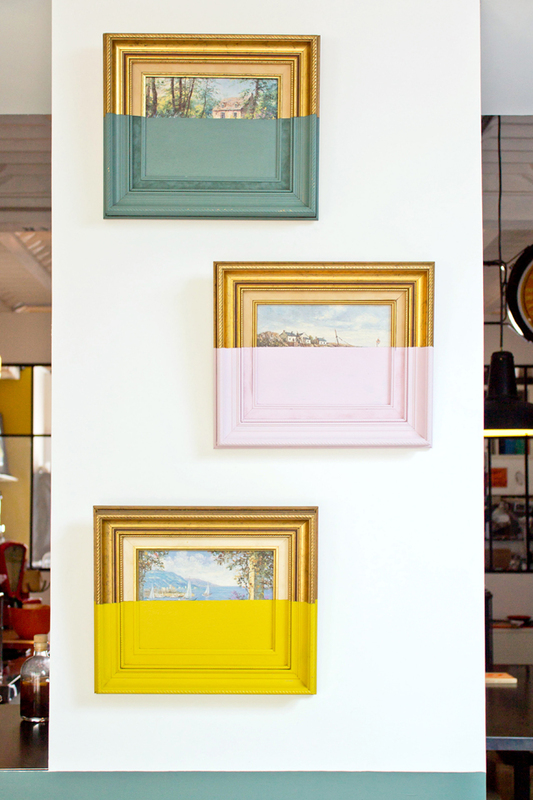 Picture the frames shinier and the paint wouldn't look so flat. You could also take it one step further and stencil or paint on a favorite quote or phrase. I like the idea of a tone-on-tone. 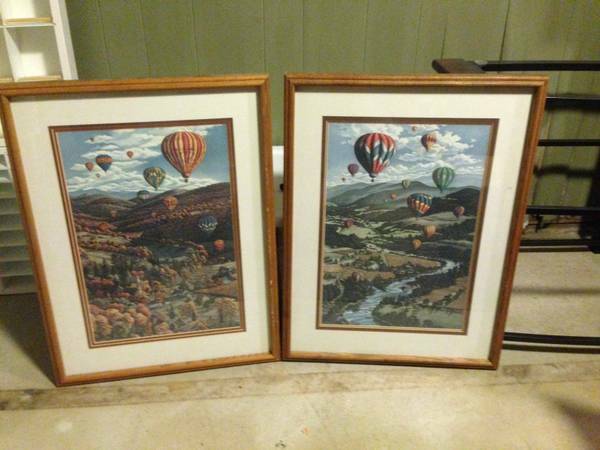 Now what's one to do with this bizarre revived art set? Personally, I think it would make the perfect statement over the sofa. Large enough to fill the space, the new paint gives it a night weight, and it demands attention without screaming for it. I know the dipped look isn't one to please everyone's tastes, but it's a great way to make a statement on a budget. Are you on board or do you think it still looks like junk? I'd love for you to weigh in! Ok, I totally have a one track mind planning out the new master bath for this flip. In order to monopolize on this and not completely bore you, I figured I'd turn my obsession into a "Make it Work" post. 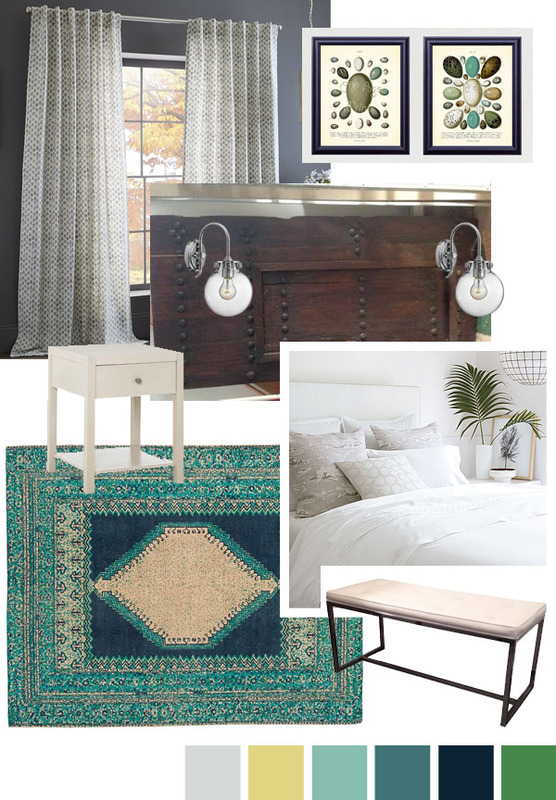 If you missed the first post in my new Make it Work series, it's all about not just showing you a cool vintage or thrifted find, but also showing you how to make it work in a space. 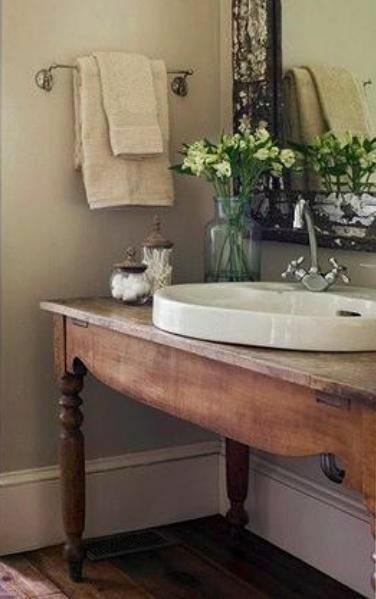 Today's Make it Work moment comes from the idea of repurposing a piece of furniture into a bathroom vanity. This little guy caught my eye on craigslist this morning. At an asking price of $95 (including the mirror) it is not a priceless antique. 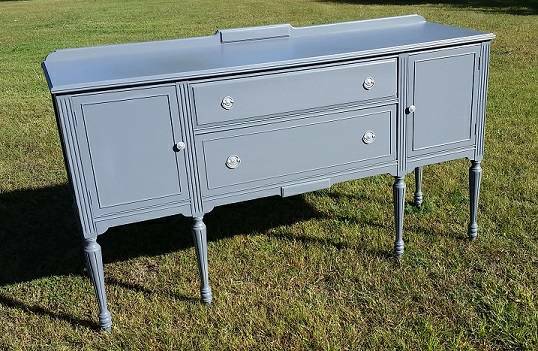 Chipping veneer and other cosmetic damage make this perfect for repurposing (contrary to popular belief, I usually refrain from painting quality pieces. This is not). 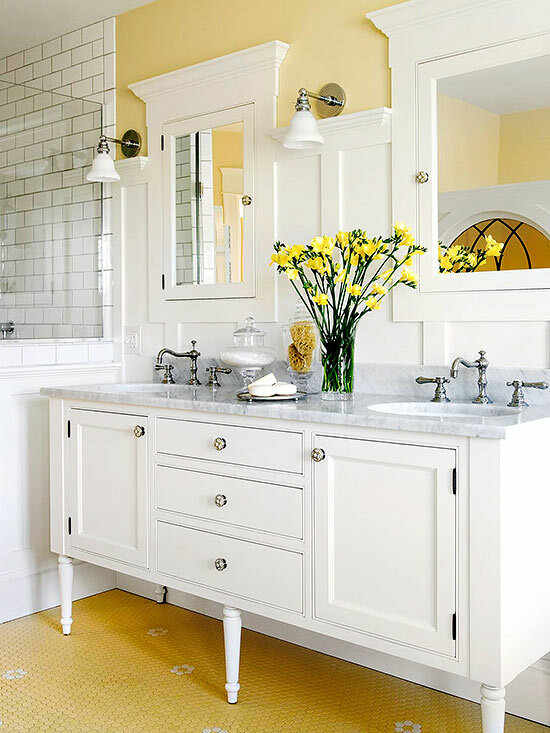 If done right, a repurposed furniture vanity looks like it was always meant to be that way. I love almost everything about this bathroom from Better Homes and Gardens and it raises the vanity question- old or new? In this case, it's probably a vintage-inspired new piece, but why go vintage-inspired when you can go true vintage? 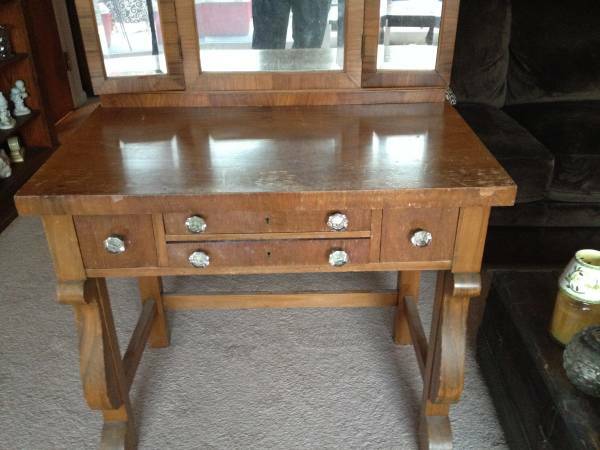 Sadly in my soon to be master bath, there isn't enough room for a double vanity, although if there was, this buffet would make for a dreamy double vanity. In the case of the craigslist piece we're looking at, I'd go for a new marble or stone top with undermount sink. The fun part here is for a stone piece this small, you have a very good chance of being able to get a steal of a deal on a remnant piece from a countertop installer. 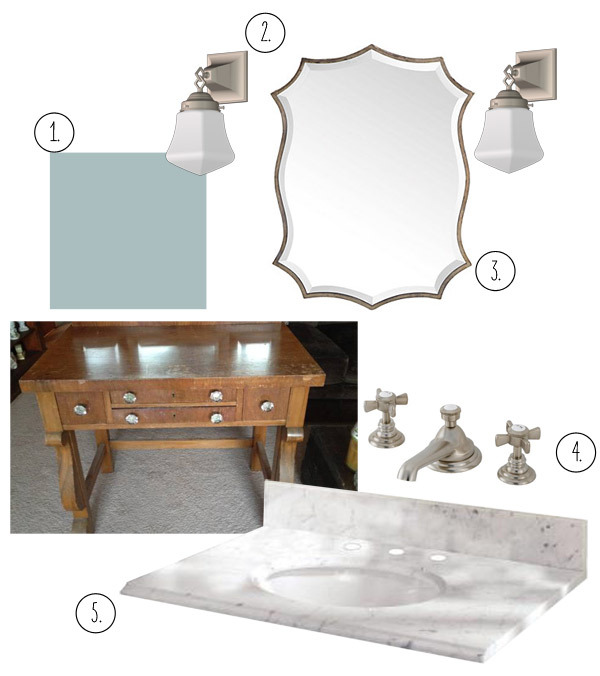 1/ Farrow & Ball Lulworth Blue- this cool gray blue painted vanity on top of my planned wood floors would be heavenly. So what do you think? Should I pull the trigger for this new master ensuite and repurpose a vintage piece?